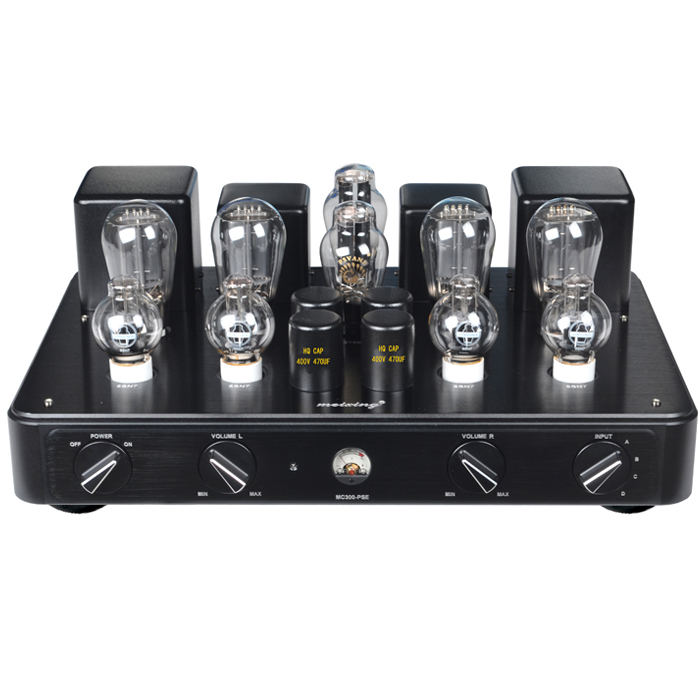 Is this the best preamplifier under R100k ? 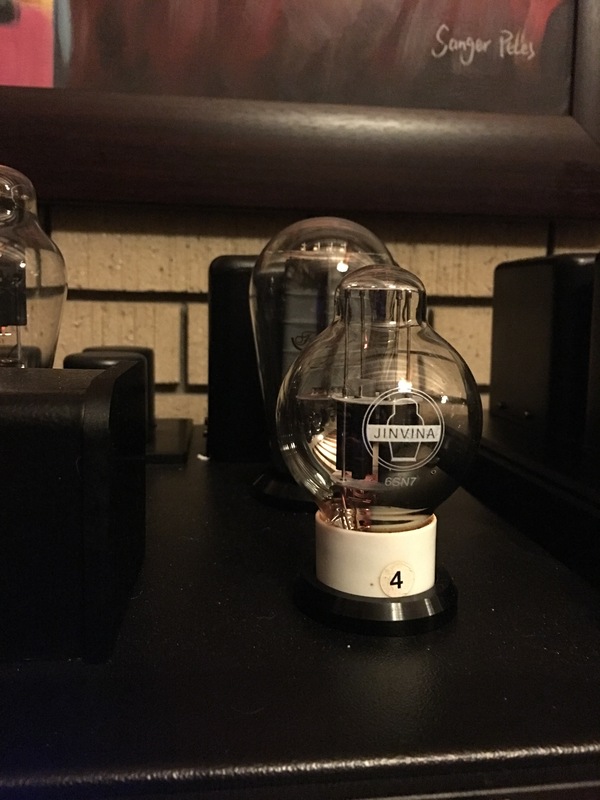 W here does one start with this preamp ? Its history ? It doesn’t have much, but the company have been designing and building amplifiers for 25 years. Was designed by MingDa in China and for once not copied from an existing design. To be honest I looked far and wide and have yet to find a 300b/6SN7 preamplifier. Amplifier ? Yes indeed I found a few 2.5W to 3.5W examples. 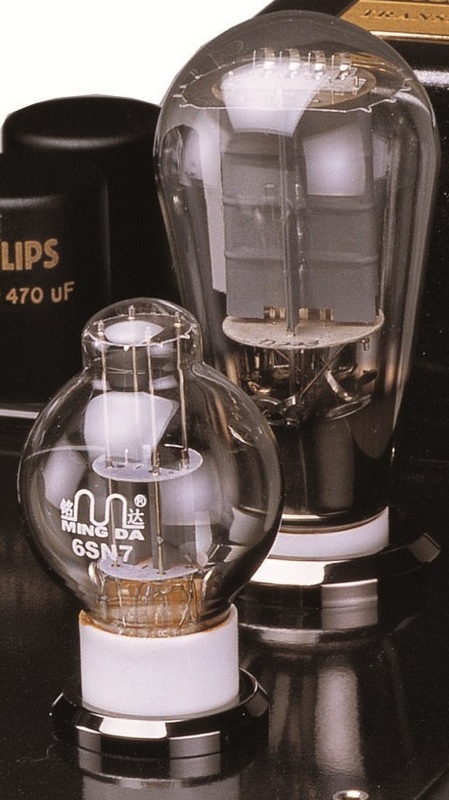 So did MingDa convert this design into a preamplifier ? It does indeed look to be the case. Which explains its ability to drive any power amplifier I attached to it. And I am tempted to strap it straight to a Zu Audio, and hear what happens. A s can be seen from the picture, we have a 6SN7 driving a 300b. The SE preamplifier has and XLR input that is converted properly to SE using a transformer per side. Very thorough already. There is almost no silicon to be found in this preamplifier. Only the remote chip/motorised mute/volume control. And that is another nice touch. You can forget the volume wherever you want. The moment it is switched on its muted until startup is completed. Then its upped to about 8 on the dial just to give an output to the power amplifier. Again. Nice touch. So, one would expect some cheap stuff inside. Especially a the price. WRONG on so many levels. Nichicon and Rubychon capacitors for all electrolytics. Descent german no polarised capacitors for decoupling. Jensen Copper in Oil caps on the output stages involving the 300b. And all capacitor values well over the minimum needed. Good, some headroom. Resistors as well,Ricoh,xxxxxxxxx. And more. It DOES leave a slight gap for upgrading, but alas you will have to dig deep in your wallet for better sounding components. High quality throughout. The connectors are all gold plated and in the class of WBT. I have now used this preamplier for a year, plugging in and out. Still the gold plating is present and in very good condition. Its is obviously a thick layer. 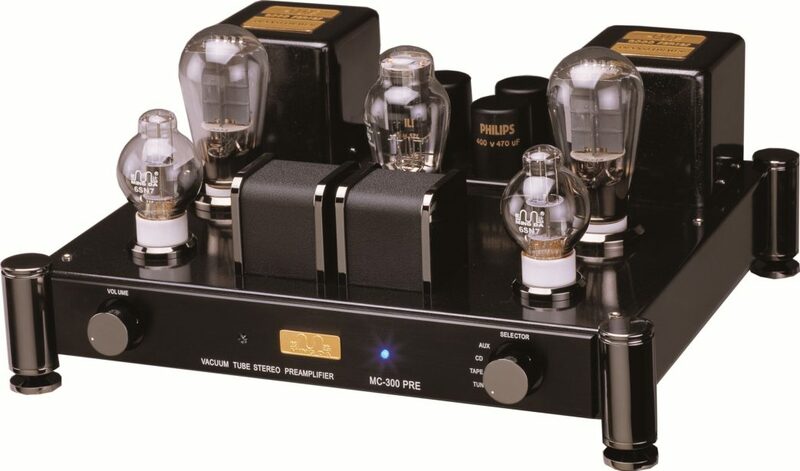 There is also a FULLY balanced MC300 preamplifier available. This is a monster. With 4 x 300b 4 x 6SN7’s and two separate power supplies. It is basically the MC300 duplicated. No shortcuts or any balance/single ended conversions! Cant wait to listen to this beast. I can imagine quite a bit of heat and a substantial weight. Using the standard 6SN7’s from Jinvana: Open, slightly warm. Nice deep bass. I am comparing it to the Conrad Johnson ET3, Classe CP700, Audio Research LS17SE and Hovland HP100. It betters them all in varying degrees. Never by a big margin but clearly noticeable. He Classe CP700 is dead quiet (as expected from a Solid-state) but “dry” vs the Mingda. The MC300 has more warmth, pulls you more into the music, it can almost be called “warm”. The Audio Research LS17SE resembles the Classe, a slight solid-state tinge to it. Yet it brings a more mellow sound to the ears. The Conrad Johnson ET3 has the warm sound one expects from a vale preamplifier, but not nearly the soundstage of the MC300. Neither has any of the other contenders, come to think of it. 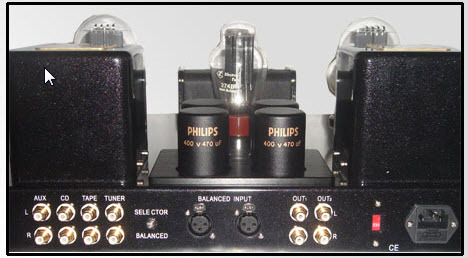 The Hovland HP100 is a phenomenon, for years the reference and winner of two big preamplifier shootouts. The MC300 adds quite a bigger soundstage and more lively and expressing top end. Which brings me to the Audio Research Reference 3,5 and 5 SE. Now the MingDa has some real competition and slotted between the Reference 3 and 5. I threw the Leben RS28X into the mix. Its as good as the MingDa but in a totally different way. Difficult to explain. The Leben was conservative. Dignified. One can easily end the comparisons here and live with the MingDa. But there was a wildcard to be played and it upset the apple cart. the room is filled with sounds, small details like dust in the air. Its difficult to describe. Image a field in spring, pollen, bees insects buzzing around….its alive. The top en is now utterly clear, detailed like I have only heard with a Halcro DM10 and dCS stack. The mid-range fleshed out a bit more but faster. The bass more controlled and defined. Its almost as powerful in the bass as a solid state like the Krell EVO 402. But its texture resembles the Perreaux 350p and Primare 30.2. No its doesn’t sound like a Mark Levinson, its slightly more refined and warmer. Its perfect match was the Perreaux 350p in the end. The Krell if your speakers refuse to release the very last detail. The MingDa now became a Chinese dancer, no masks, no makeup, beautiful natural in dazzling reds and yellow, swirling in sound. The ability to make the room light up in sparkling sound. It throws sound so wide one can be excused for thinking this is a 5.1 system with its rear speakers to your left and right. And the deal maker is the utterly revealing top end. For people wanting to hear every last detail picked up by the microphone, this is the tool to magnify that. Microphonic’s. Unmodified very loud music can have a few millisecond ring/echo if you suddenly press pause. Yes it should effect the music, but seems not to. Being pedantic about that, I kept the cover on – much better, put the preamp further back from the from line of the speakers, noticeable. Isolating with 3 axis isolation feet – a great improvement. And lastly with the NE6SN7’s the ringing is gone, not noticeable anymore..
A slight hum. That comes from the 300b setup. Its just possible to hear it when there is no music playing. I wonder if a much stiffer power supply might sort this. Its also only on high efficiency speakers. Changing to the “Treasure” 300b’s and even WE 300b’s made another big difference. Don’t listen longer than 10 minutes, you will buy valves that cost almost the same as your preamplifier. 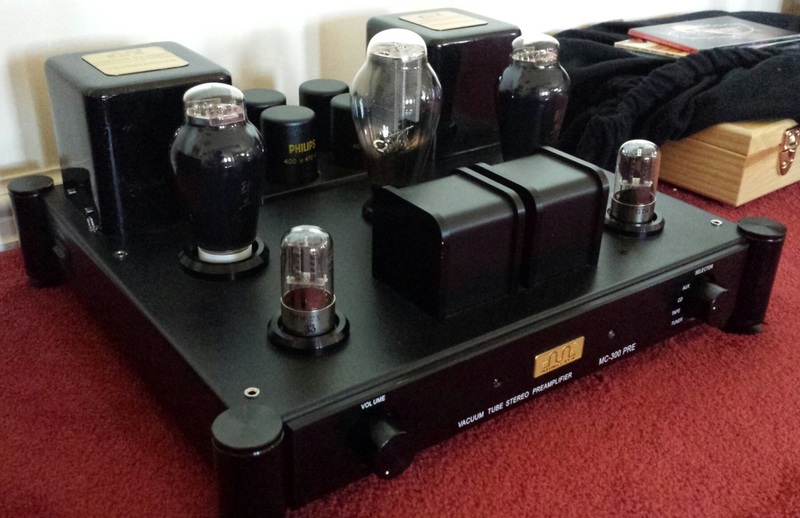 NE6SN7’s – magnificent. I tried various Russian 6SN7’s, Raytheon, Some Italian, Tungsol and new releases. The Northern Electrics are a step ahead. I have customer that changed the power supply valve and had better sound. I cannot confirm that but I believe them! The capacitors: I modified the preamplifier to take 3 per side, switchable from the top. Massive differences. 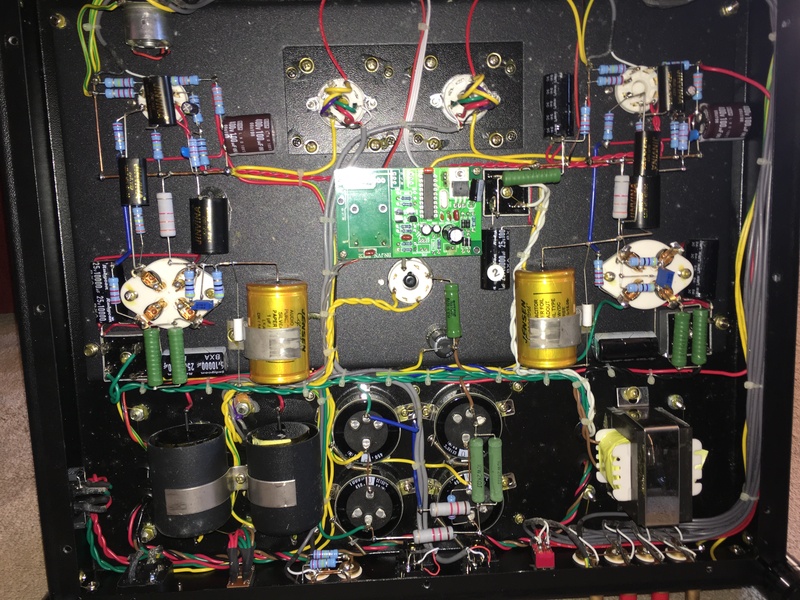 The Sidreal Capacitor made it resemble the Audio Research Reference 5! Would you believe that. Flatter and between the speaker soundstage. The MIT capacitors I pulled from audio Research fell flat. Stay away. Next up will be Mundorf Silver/gold in oil and some beeswax/copper caps. 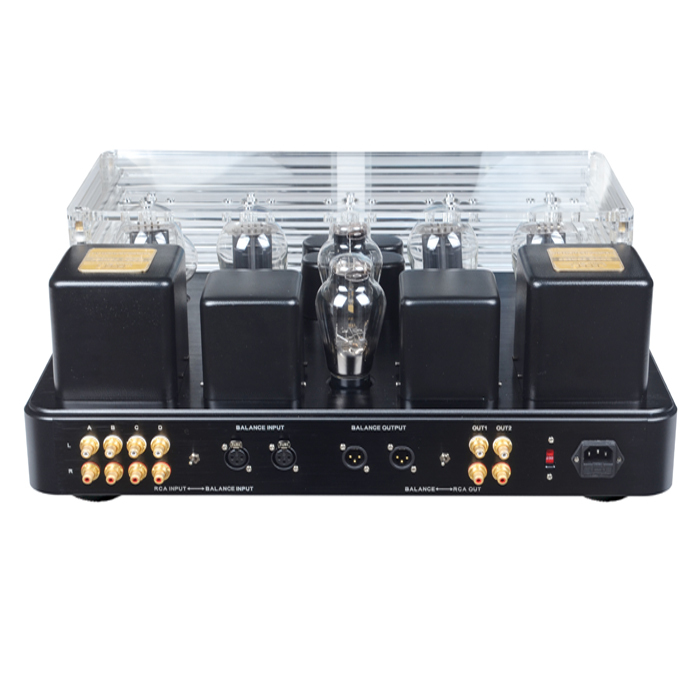 Power amplifiers mostly are open to any preamplifier you drive them with. Some are a little picky. Like the Manley Reference 600 and the Audio Research Monoblocks. The same with its inputs. The XLR drives through a transformer per channel. A bloody nice touch. I use it all the time. CD Playes, DAC’s and phonostages all perfect. Yes you would say, “Francois you import these, hence you will pitch them high”. NO, for the simple reason I make MUCH more profit selling and of the premium brands! I make 3x more money selling a new Audio Research. There, simple as that. They ask that a system be set up right. Lots of space to the sides and back of speakers to “build” that soundstage. I have heard them sound just very good when the speakers are “crowded” in corners. Then suddenly the preamplifiers that build a soundstage between the speakers, become very competitive. And some like the Reference 5SE actually takes the honours. If you don’t want Leonard Cohen sing “To a Teacher” on your lap, pass this. If your personal space is more than you can swing a cat, leave this preamp. This is like a Russian Blue, it doesn’t accept your personal space, it reels you in! It is my REFERENCE, my preamplifier to beat. I cannot take it out of the system It makes the Sonus Faber Amati’s sound like magic. Elevating them to super status. I made the B&W 800D’s forget that they were supposed to be NEUTRAL..always. B&W haters suddenly LOVED them. At extreme volumes the treble NEVER caused fatigue, can you believe that?? The Zingali’s were glorious. The YG Acoustics suddenly defended their high price with perfectly integrated and seamless sound. I know I will one day maybe, maybe find a new champion, but from my last 20 years of listening, this is now the king.